UPDATE: The grand prize winner is Eric Wheeler! Congratulations Eric and thanks to everyone who participated!! 2015 Tour de France Yellow Jersey, signed by reigning Tour champion Chris Froome! (Full disclosure, we sponsor Team SKY with the KICKR Smart Bike Trainer and the TICKR Heart Rate Monitor.) That said, our favorite for the overall win is defending Tour de France champion Chris Froome. But, it won’t be easy. Nairo Quintana is going to throw everything at the mountains in this year’s Tour in order to put Froome and other GC contenders to the test. Richie Porte, Froome’s former teammate and best mate, could also thwart Froome’s quest for a repeat victory. These two know each other well, which means they know each other’s weaknesses as well as their strengths. Although he hasn’t had the same race results compared to last year, Alberto Contador could sneak up to surprise us this year, as he looks to be in great form heading into the Tour. This is a tough one to determine. Over the last year we have seen some solid sprinters come to the forefront and challenge the supremacy of guys like Cavendish and Greipel. But, we believe that Andre Greipel has the best chance to wear the Green Jersey on the final day. Peter Sagan will be highly motivated to ride well while he’s in the world championship jersey, but we’re not sure he can match the raw power Greipel can produce in a flat-out sprint to the line. Mark Cavendish will have a good showing, but we think that he’ll be limited by a team that has not yet mastered the sprint lead-out, and possibly distracted by his goals for the upcoming Summer Olympics. Finally, Marcel Kittel has shown that he can hang with, and beat, the fastest guys in the peloton. With a highly motivated team behind him, he’ll be poised to be a fierce contender in the green jersey competition. With so much climbing this year, and four out of the nine mountain stages being summit finishes, we think the winner of the Polka-Dot Jersey will come from the GC contenders. More specifically, the winner overall will also be the Polka-Dot Jersey winner. With four mountaintop stage finishes there are still plenty of mountain peaks to climb over, and a lot of points to be earned, by those who cross the summits the fastest. This means that French climbers Romain Bardet and Thibaut Pinot have a great chance to snag points while in breakaways during each climbing stage. Keep in mind that Stage 12 climbs and finishes on the summit of Mont Ventoux on Bastille Day. We expect the French climbers to challenge hard on this day as a stage win on Ventoux on Bastille Day would forever engrave your name in the history books. Nairo Quintana is our final pick for the Polka-Dot Jersey. He will challenge Froome on every climb, especially the mountaintop finishes, and is probably the best natural climber in the race. However, we don’t think that he’ll be able to truly contest the Polka-Dot Jersey, since he’ll be more concerned with the Yellow Jersey. The White Jersey is the competition between the young guns in the race. 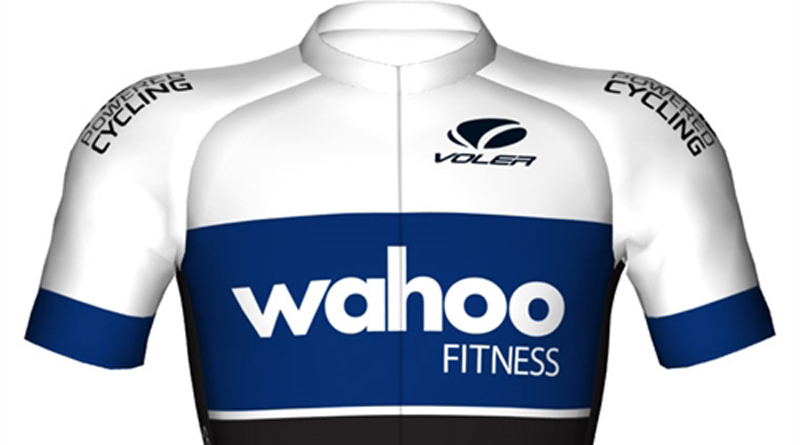 The wearer of the White jersey is the highest-placed rider under the age of 26. With all of the climbing in this year’s Tour, we think Romain Bardet will take home the White Jersey, since he’s a pure climber. Julian Alaphalippe may put some pressure on Bardet throughout the race, but we think Alaphilippe will be focused more on protecting and supporting his team captain Daniel Martin. The final two riders who made our list will challenge the breakaways and individual stage glory, since they are not pure climbers. We will see Marc Soler focus primarily on his support of Nairo Quintana, which makes him a reach for the top three in this classification. This year Mr. Quintana will win the tour the france and also polka-dot jersey. He is the best climber. The people think that Mr Froome won with help( electrical motor into the bike), but this year the organization will work to avoid this kind of things. Sorry, all your picks are all wrong. I really don’t want a Chris “F’in” Froome autographed jersey, or anything Sky, but a jersey would be cool. I would root for Team Katusha over Sky, or even Europa Car, “Direct Énergie”. Viva le Tour! I’m so excited! Geraint is the only Team Sky rider worth a hoot. Looking forward to this year’s tour, as usual. Making these picks was a good warm up for people who follow the riders and enjoy the spectacle. Yes I’d love an autographed yellow jersey! Fun challenge! Looking forward to see if my predictions pan out!